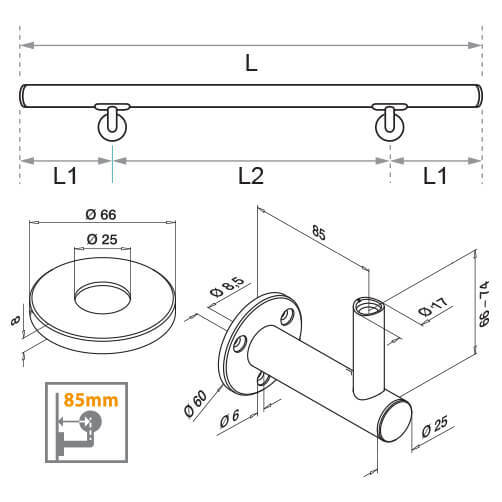 Each Tubular Handrail Kit comprises of: 42.4mm or 48.3mm Diameter Stainless Steel Handrail, Stainless Steel End Caps (fitted), Stainless Steel Plate Brackets with Cover Caps and Fixing Screws. 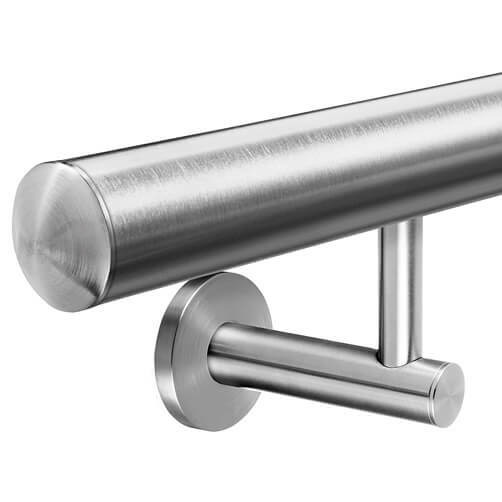 This stylish plate bracket and handrail kit is available to order on-line in 1, 1.5, 2, 2.5, 3, 3.5 and 4 metre lengths. Complete with handrail brackets, supplied loose for installation. 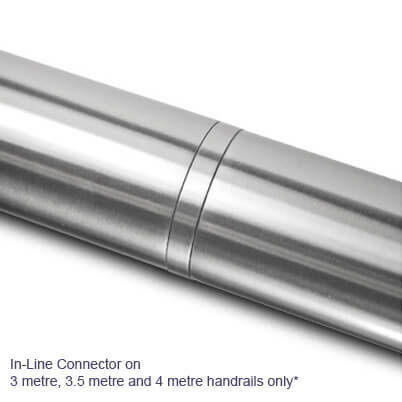 For a quick and easy installation you will need a few household tools: pencil, tape measure, spirit level, drill, screwdriver, hex head key and suitable rawl/wall plugs. Our recommended mounting heights based upon the industry standard. 1. Drill pilot holes and insert your rawl/wall plugs and fix handrail brackets securely in place using No.10 screw fixings. 3. Place cover cap over mounting. 4. 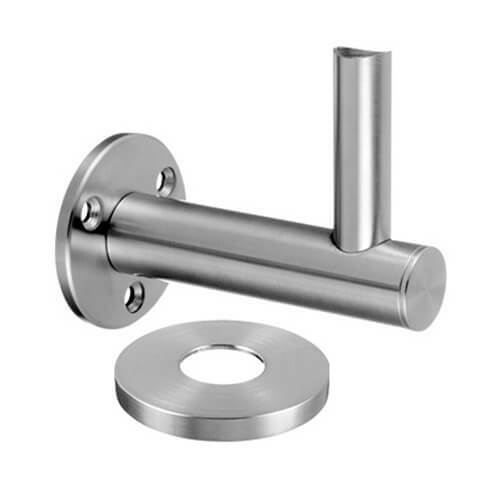 Attach upright stem to handrail and secure to bracket mount by tightening the grub screw. 5. Push fit cover cap into place.